The holidays are a very busy time of year. Some people have to travel a long distance to be with their families. If you are one of these people, you know that it can be somewhat stressful and take some planning. Check out the short list of travel tips that we put together below to help you and your family this holiday season! For more helpful tips, check out our blog! Be proactive and plan ahead. If you know that you will be traveling for the holidays, plan ahead of time and schedule your trip. Book your flight or map out your drive to get the best deals. Avoid traveling on the busy days. Many people tend to travel on the same days so keep this in mind and try to avoid those specific days. Consider leaving a day earlier to try and beat some of the rush. Pack smart. If you are flying, do your best to not check a bag. If you have gifts, consider shipping them ahead of time so that you do not have to check them at the airport. 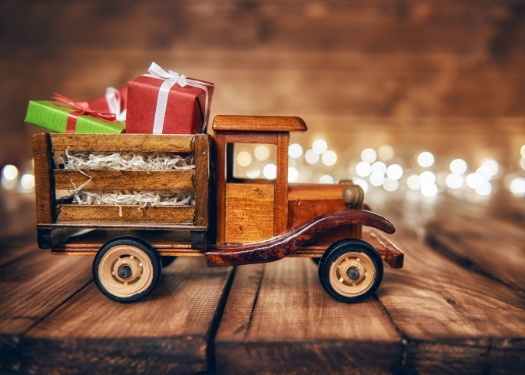 If you are driving, be sure to leave room in the vehicle for your gifts that you are bringing as well as any potential gifts you might be bringing back. Know the weather forecast. Before you start packing, sure to check the forecast of the location you are traveling to so you can pack accordingly. If the weather conditions are supposed to be poor, be sure to plan extra time for travel. Avoid stress. Hopefully, by planning ahead, you can avoid some of the stress that is usually associated with this time of year. Stress will only make a day full of traveling worse so do your best to remain calm and enjoy the holiday season. Kyle Chapman Motors is a proud member of the Kyle/Buda community and wants everyone to have a fun and safe holiday season. We hope that you and your family found these travel tips helpful. Be sure to stop by our dealership today if you are in search of a new vehicle or contact us with any questions! Previous PostDoes the way I drive affect my vehicle’s fuel economy?Next PostIs your credit good? Bad? Kyle Chapman Motors can help customers in any credit situation!